If you’re old enough to remember 1947, then you’ll almost certainly have the winter as one of your most vivid memories of the year. 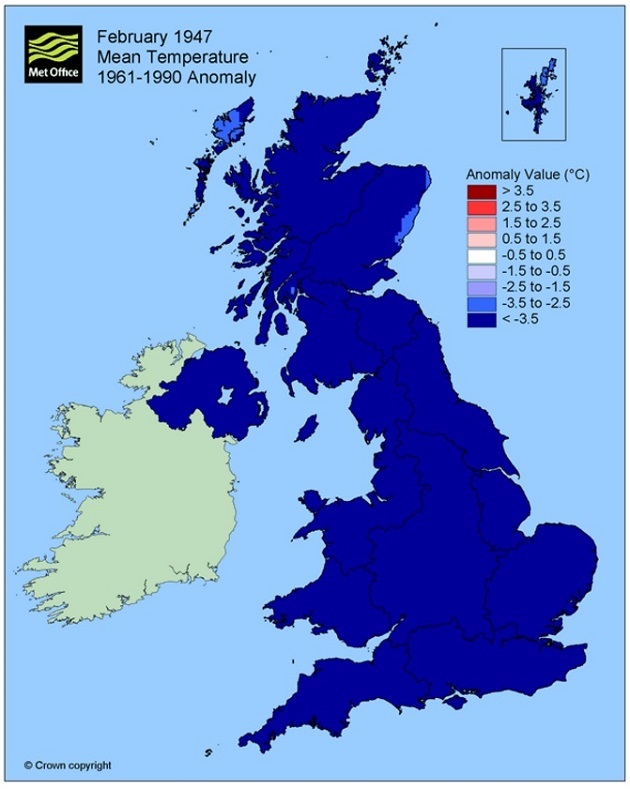 For meteorologists and climatologists, the winter of 1947 was a standout year for the UK, but the statistics don’t tell the full story of the severity of the winter and the significant impact that it had on communities across the UK. Seventy years ago, from late January until mid March, easterly winds drove a succession of snowstorms across the UK resulting in what was believed to have been the snowiest winter since the mid-nineteenth century. Six weeks of snow, which began on January 23, led to thousands of people being cut off by snowdrifts. As the UK was recovering from the effects of the Second World War, the armed forces were called upon to clear roads and railways of snowdrifts that were up to seven metres deep in places. According to the record, snow fell every day somewhere in the UK for a run of 55 days. Because the temperature on most days barely exceeded freezing, much of the snow settled. February 1947 was the coldest February on record in many places. At Kew Observatory the temperature didn’t rise above 4.4 °C, and in Bedfordshire on the 25 February, the temperature dropped to -21 °C. Mike Kendon added: “Meteorologically, spring begins on 1 March. But in the early part of March 1947, people’s minds weren’t on spring. Gales and heavy snowstorms brought blizzard conditions especially on March 4 and 5 when heavy snow fell over most of England and Wales. This led to drifts several metres deep in parts of the Pennines and the Chilterns. At the end of the freeze, rising temperatures brought a rapid thaw of the deep snow which led to meltwaters pouring into rivers, causing many to burst their banks. Further information on severe winters is available here. 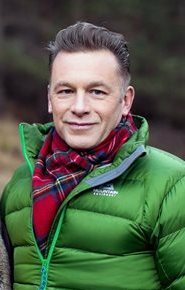 This entry was posted in Met Office News and tagged Chris Packham, Met Office, severe weather, snow, temperature, weather forecast, Winter, Winterwatch. Bookmark the permalink. I was only about 31 months old but have one recollection of that cold spell. I was looking out of the window at the snow and turned round as my father entered the room. He had an old shoe in his hand which he threw on the fire. I think there’s been a miner’s strike before the freeze so we were running out of coal and had to burn anything to keep warm. One feature of the snow was that when it started, it was very fine; one of the James Herriot books describes the sequence very well. The fineness of the snow, which went on for days, meant that it got into the attic of our house and when the thaw came, water started dripping through my parent’s bedroom ceiling. My father went into the attic and took seven buckets-full of snow out of it. The leak into the bedroom wasn’t helped during this clearout when my dad put his foot through the ceiling. Yes i was 8 years old,, and i cried and the tears Froze on my cheeks????? I remember it well although I was only 6 years old. We lived in a council prefab which was indequately heated even in a mild winter by a littlle cast iron stove, and devoid of insulation. Coal soon ran out as the coal trains could not get through. I remember going with my father to a woods on the edge of our estate, where all the able bodied men assembled to saw up the many trees that had fallen in autumn gales a few months earlier. Hundreds of empty coal sacks were filled with logs and distributed to everyone on the estate. Somehow we managed to stave off hypothermia by sparingly burning our supply of logs until coal deliveries started to come through again. I wonder if that would happen today. All those men were ex servicemen who served in WWII, and had a sense of camaraderie and discipline. They got the job done efficiently and made sure that no one on the estate was short of fuel, fairly shared out.